This Gokyo Everest Base Camp-Island Peak trek, combined with the climb of Island Peak is one of the longest, and toughest we offer from Himalaya Sunrise Treks and Expeditions. 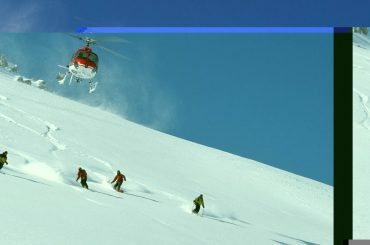 It is also one of the most rewarding expedition too. You will experience the wonders of the Gokyo Lakes area with its stunning views and majestic lakes on the way. 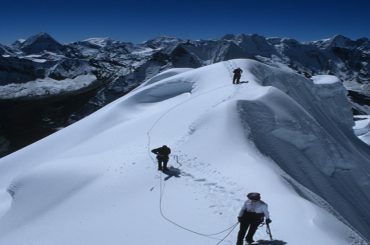 You will cross the Chola pass (5420m) and continue on to Everest Base Camp (5364m). 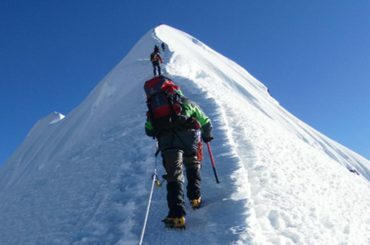 You will also be able to view four of the worlds six highest highest mountains, Everest (8848m),Lhotse (8516m), Makalu (8481m),Cho Oyu (8201m), and many other spectacular peaks. 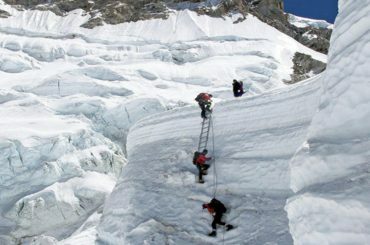 Climbing to Gokyo Everest Base Camp-Island Peak is not an easy thing with lots of uphill, downhill and high altitude. Average fitness is required not to be in the pain make sure you have enough walking and climbing experience to enjoy the trek and climb. Most of the days include 4-7 hours walking. Altitude can be the problem too, so drinking lots of fluids and going slowly is important to avoid altitude sickness. Day-01:Arrival in Kathmandu (1345 m). Day-06:Trek to Dole from Namche. Day-14:Trek to Chhukung (4730m) 3hrs. Day-15:Trek to Island Peak Base Camp. Day-16:Trek to High Camp (5600m.) 3 hrs. Day-21:Morning flight back to Kathmandu. Day-23:Departure, transfer to airport or Add Ons.